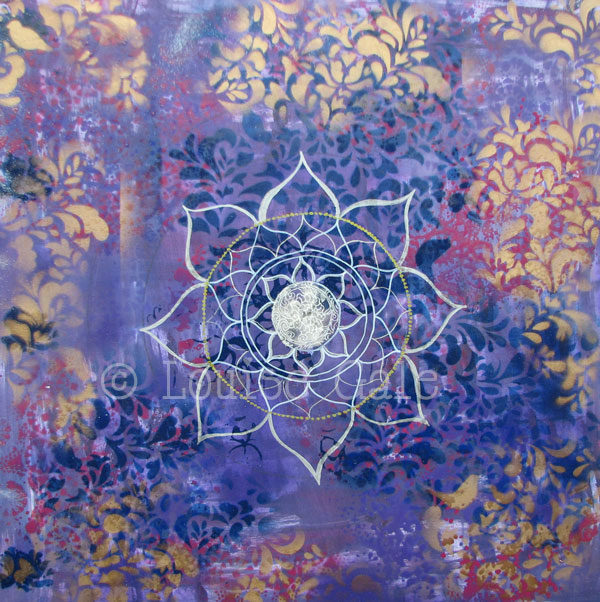 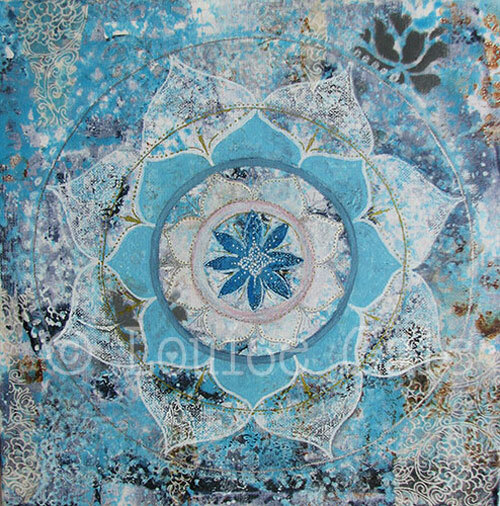 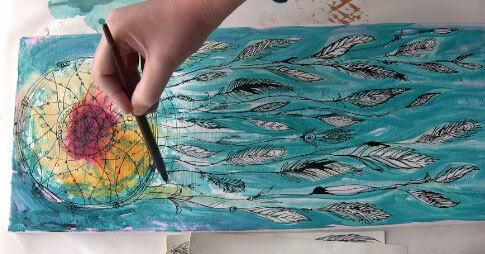 In this class, you will create beautiful layered backgrounds and add your expressive mandala and dream catcher art. 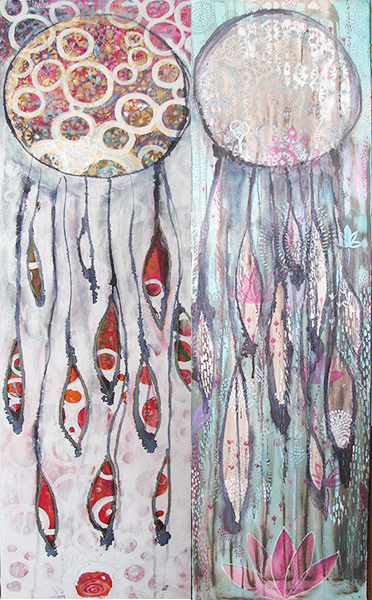 We will layer backgrounds on canvas and wood substrates using a variety of mixed media techniques and create unique mandala & dream catcher masterpieces. 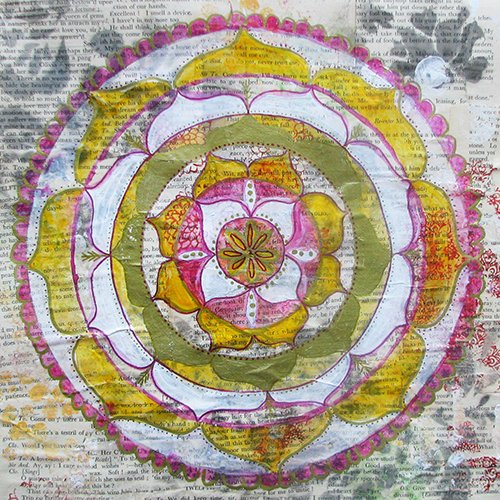 Module 1 – Introduction, Meditations and Mandala Templates. 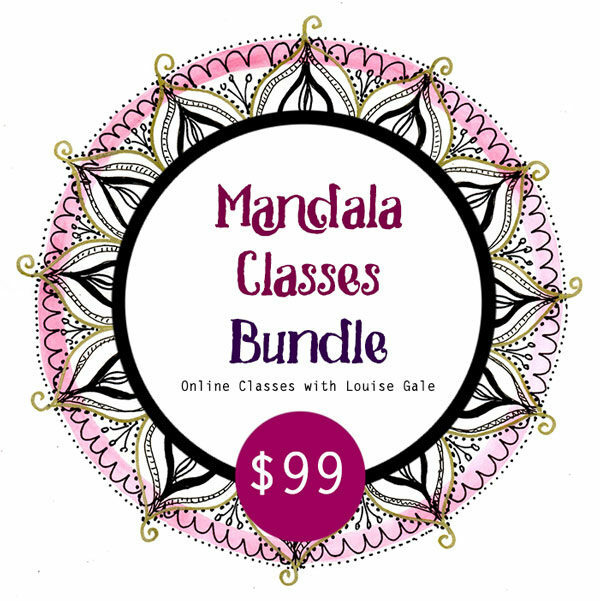 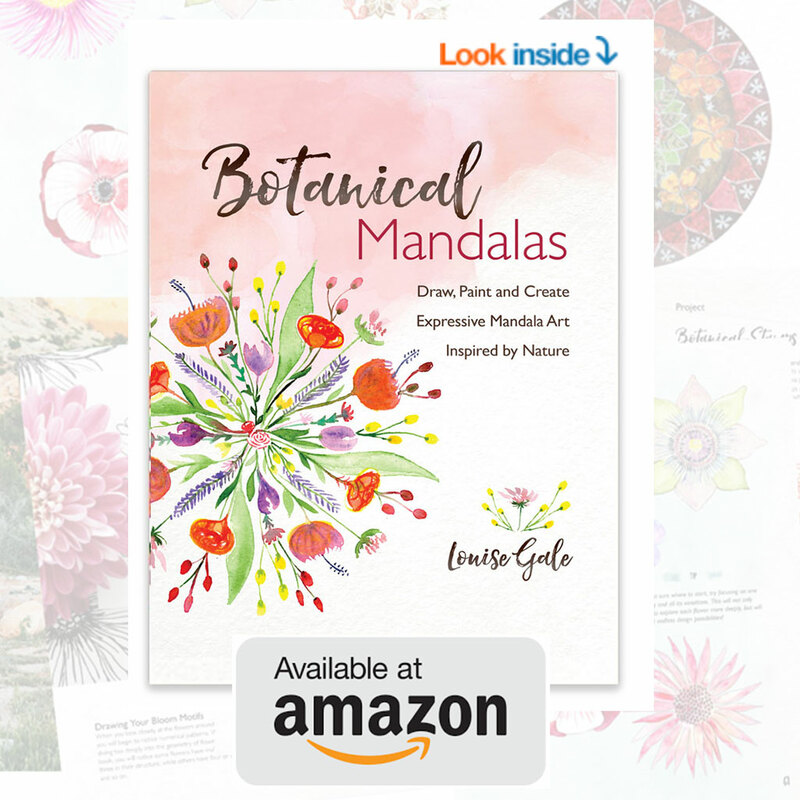 Module 5 – Adding Mandala Designs to your backgrounds. 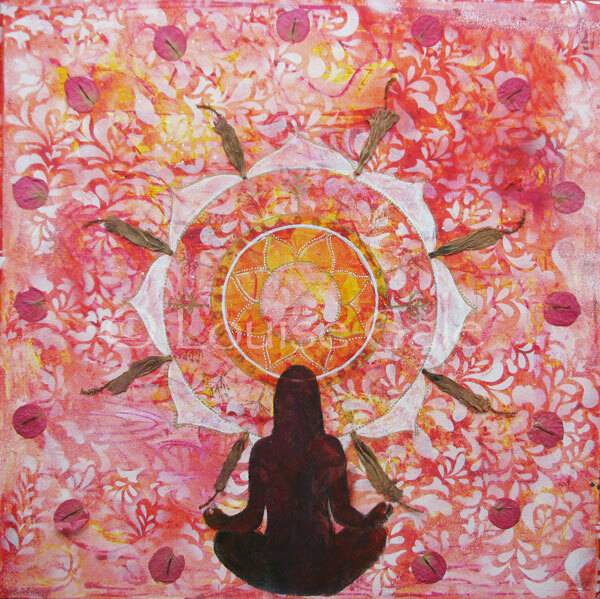 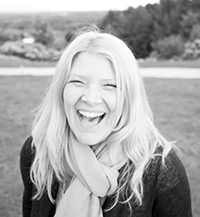 3 Audio meditations you can download and keep. 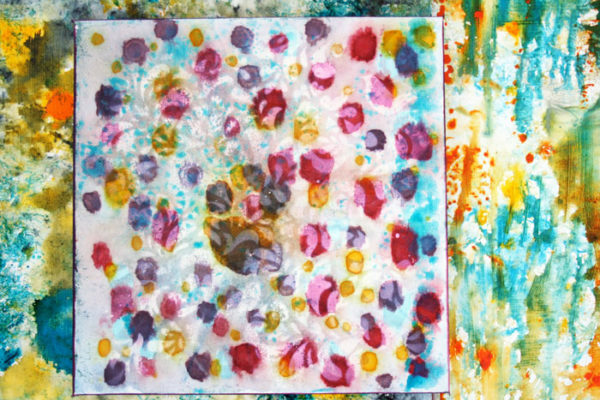 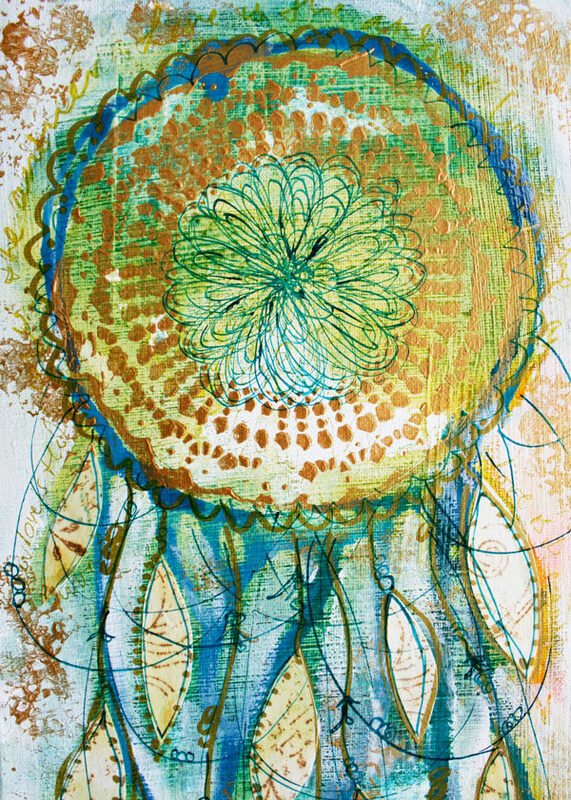 Work with acrylic, inks, watercolor, collage, stencils, spray paint, stamps and more! 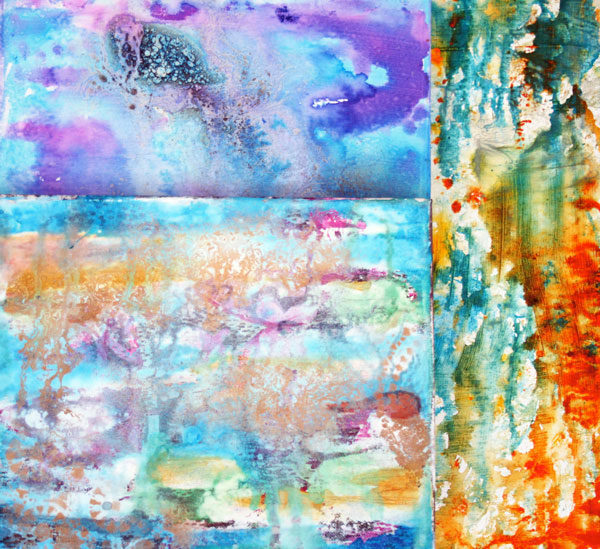 Work on stretched canvas or wood panels or both! 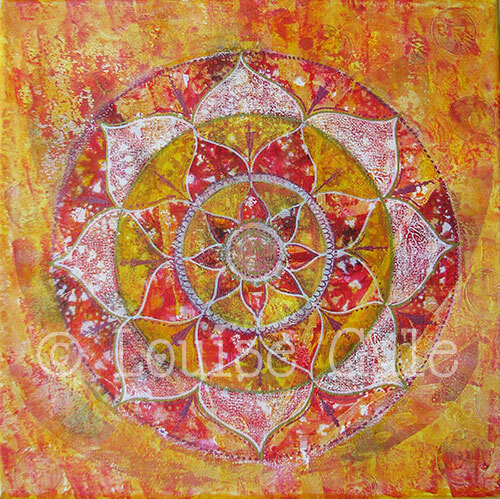 Step by step instructions on creating mandalas on top of your layered designs.